Having whiter teeth can make a huge difference for your own self confidence and with the kinds of impressions you can make with other people. Brushing can prevent future staining, but what about if your teeth are already damaged? How do you handle that discoloration? You’re probably looking for a way to whiten those teeth. Luckily there are solutions out there. Professional services exist that whiten teeth quickly and affordably, but for those who are looking for a natural and effective way to lighten their teeth, there are options! It is important to keep in mind that many home whitening products chemically bleach teeth which can lead to damage if not properly applied—a real possibility for home applications! How Do Teeth Become Less White? When confronting the challenge of teeth that are no longer as pearly or white as you want them to be, it’s important to understand how they got that way. When your teeth become discolored, it’s not that they’ve simply changed in color, but that they’ve actually become damaged. The culprits of this kind of dental damage are the kinds of things dentists have warned about for decades: acidic beverages like soda; coffee; some foods; smoking. A common tactic that people employ is using apple cider vinegar to rinse and bleach teeth. 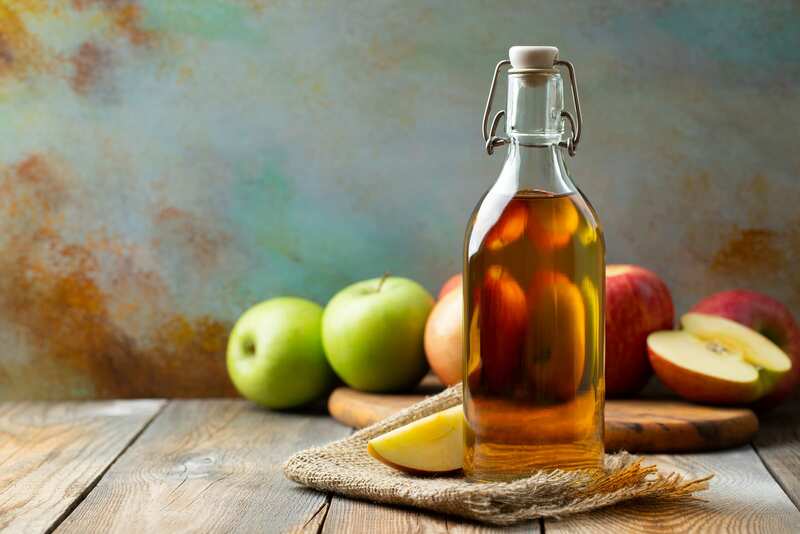 Apple cider vinegar contains acetic acid which can kill germs and whiten your teeth. This acid is strong, and has the ability to go too far when it comes to cleaning your teeth. Just like the acids in soft drinks, too much can soften teeth and make them more susceptible to damage. Diluting the vinegar can reduce this potential effect, and rinsing afterwards can get any residual acids off of the teeth as well. Some people use a method of mouth rinsing called “oil pulling.” This is done by swishing oils around the mouth in order to improve oral health. 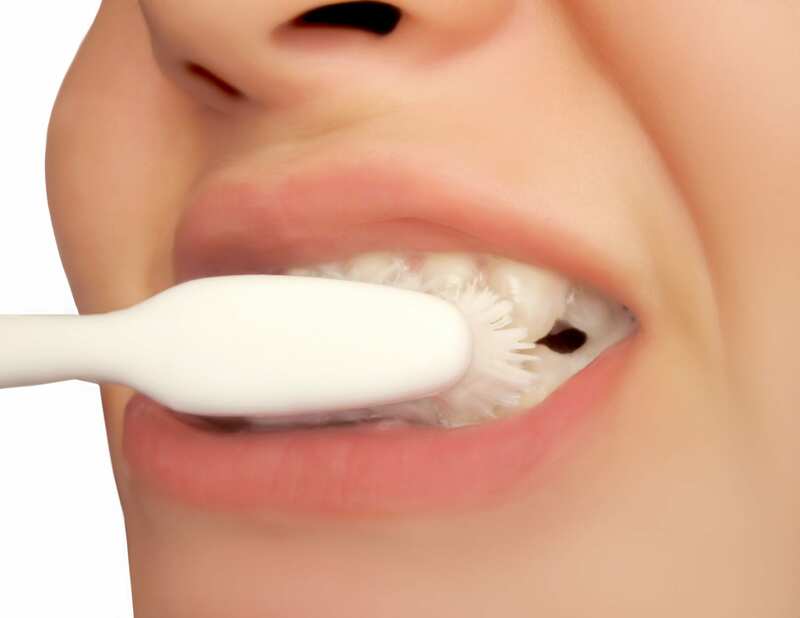 While there isn’t scientific evidence that this practice actually lightens teeth, it is commonly accepted as a way to reduce the amount of bacteria in the mouth that can lead to mouth problems like plaque and gingivitis. Reducing these dental attackers is key to maintaining a whiter smile. For many years, brushing with baking soda has been cited as a great way to whiten teeth. Using baking soda can change the chemical composition in your mouth, making it harder for unwanted bacteria to gain a foothold and cause damage. As an ingredient already present in many toothpastes, it is a safe route to go when looking for a solution to dental staining. Scientific studies have also found that toothpastes that contain baking soda are more effective at removing plaque and yellow stains. It’s also easily accessed at stores, which is awesome! The easiest way to stop these stains is to limit your contact with the kinds of products that can damage them. This can be as simple as reducing your sugary drink intake and brushing regularly after eating or drinking something high in sugar. Some common drink culprits that are known to stain teeth are coffee, sodas, and red wine. While these drinks and foods aren’t immediately damaging, they can be in large quantities and over a long period of time. Flossing and brushing (maybe with baking soda!) are encouraged shortly after exposing your teeth to these kinds of sugary foods. While the appeal of home solutions to whitening teeth are certainly appealing, never forget that without professional application, it’s possible that your results could be uneven or ineffective. In some cases, home treatment can end up damaging your teeth and making them more prone to staining. Professional teeth whitening services can lighten your teeth and reduce staining while maintaining the integrity of your teeth. Consult your dentist before going ahead with any of these home methods to make sure you’re doing what’s right for your teeth! PreviousPrevious post:Can You Brush Your Teeth Too Much?NextNext post:Do Whiter Teeth Make A Difference? Do Whiter Teeth Make A Difference?